Every year i do one of these posts, and its always arrogantly titled “The Best of….” when in reality its Parmenions Fav Books of 2017…so thats why this year we have a title change. As with every other year im going to split out by genre… and will call out the occasional special mention for the hugely popular blog posts, so while it may not have won my fav book it was very popular in terms of people kindly reading the review. So categories… The books listed are the ones i narrowed it down to… and then my Favorite for the year. Christian Cameron: Green Count… which to be honest surprises no one, and so i felt that i also had to have a supporting book, i am i admit such a fan of Christians writing, and that this book was truly excellent… but, someone else also needs a look in. So joint winner Paul Collard with True Soldier, i felt that there was so much growth in the Jack Lark character in this book, he and the writing had matured to a new level, truly cementing the series as something special in the genre. This genre comes down to 3 simply amazing books, 2 series ending books of such astounding writing they left me exhausted by the desire to read just one more page… just one more, until i would fall asleep at 3 or 4 in the morning book in hand. and then Red Sister one of the best books to start a series i have read, Mark Lawrence is truly one of the best wordsmiths of his craft. Picking a winner for this genre was impossible…. no i mean it, utterly impossible, each book on its own merits has astounding brilliance. so I have for the first time decided to have a 3 way tie… Not only does this show the quality of these books, but the quality of the work in this genre. I hate Sci-Fi, so there is only one winner, the only one i read, Pierce Brown and Iron Gold, continuing the simply excellent Red rising series, its quality is shown by the fact i love this series while having a deep dislike of reading this genre. Victoria Aveyard: Kings Cage. a simply wonderfully well written and imagined series. There is only one winner in this category for me: Ezekiel Boone: Skitter, the second book in the B moviesque plot for Spider invasions… wonderfully written and imagined. James Rollins: who lets face it wins nearly every year, but Demon Crown is both scary as hell and thrilling as can be, it was a book i powered through and devoured every page of in a single afternoon. 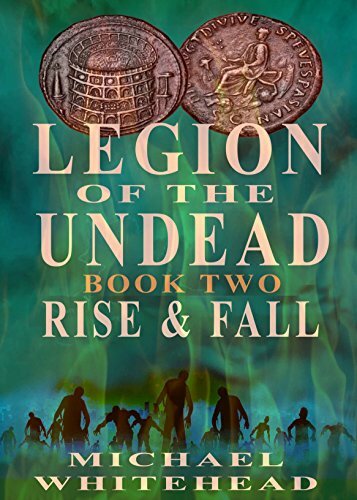 Michael Whithead and Legion of the Dean: Rise and Fall, the second book in this self published series and one that has shown so much growth from book one and was so very entertaining, Rome and Zombies… whats not to love. Steven Saville: Glass Town, a book that is very outside my normal reading, and yet it intrigued me, dazzled me and won me over. I could put it into a single genre, but it deserved to be called out for the wonderfully well imagined and written plot. As i mentioned, there would be special mention for the top blog posts of the year…. so top 5 in reverse order.. Finally the Parmenion Books book of the year 2017…..where i take, pure enjoyment, above writing quality or anything else, just the pure thrill of reading, the thing that makes this a joy not a job…. Winner: Sebastian DeCastell Tyrants Throne. While it couldn’t take the fantasy genre on its own, that for me had more intangibles inc the writing etc… but my book of the year is just the book that for me is fun, it demands nothing from me but gives and gives, in action, adventure, thrills and laughs… this ended a series that sits as one of my all time favorite. Harry Sidebottom is Lecturer in Ancient History at Merton College, Oxford, and part-time lecturer in Classics and Ancient History at the University of Warwick. He has written for and contributed to many publications, including Classical Review, Journal of Roman Studies, and War and Society in the Roman World. Harry Sidebottom continues the saga of Ballista a romanised barbarian, a man of two worlds, forced to live as a Roman hostage and accept that his life is that of a Warrior of Rome (see what i did there). 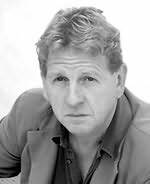 Ballista has formed the core character that launched Harry as a major Historical Fiction writer, a writer with an uncompromising accuracy of the Roman world (well he does teach at Oxford). Book 7 The Last Hour is however something new, not just for Harry, but in general for the Historical Fiction genre. 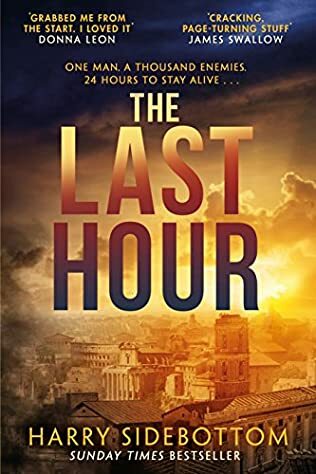 The Last Hour is a Historical Fiction / Action Thriller cross over, a new section in the book shop: Historical Action Thriller. Its Ballista in Rome in a 24 Jack Bauer style, a novel that pits Ballista against the Praetorian Guard, the City watch and the dreaded Frumentarii in a chase at break neck speed around the Roman Capital, unraveling a political consspiracy, a chase encapsulating some of the greatest iconic buildings of the time brought to glorious life by Harry’s blisteringly fast paced writing. 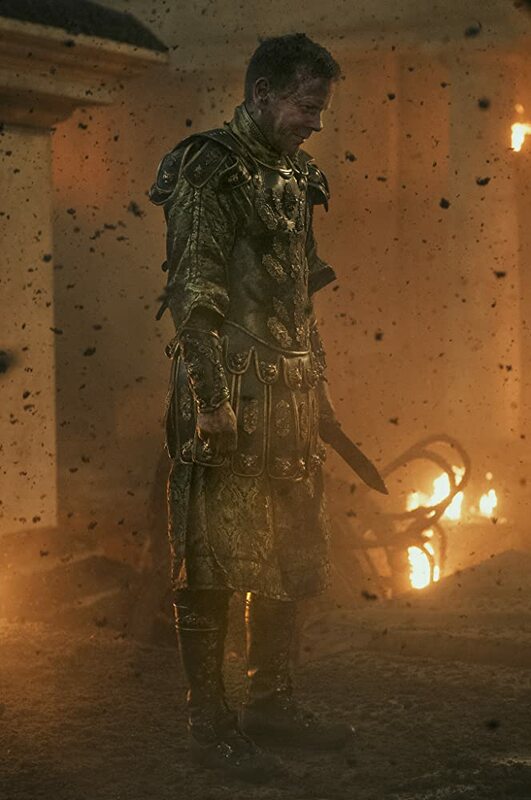 Who will survive, who can help Ballista, can he succeed in making it to the emperor or at least getting a message to him, and thus save his life. Harry Sidebottom manages to keep you the reader perched on the very edge of the page throughout the book, with regular chapter ending cliffhangers that make a book that you cannot put down and will lose sleep over (i did… well i have insomnia and it made a good companion at 3am, but i couldn’t have slept if i tried). I very Highly recommend this book, hands down the best in the series so far. 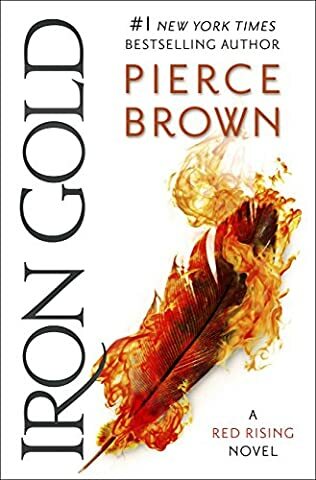 Iron Gold was a much anticipated read, i have been an unashamed advocate for this new series and its excellent predecessor. Pierce Brown has always made life hard for himself, Red Rising was such an extreme and powerful debut that creating a better second book was such a hard ask, yet he smashed it with Golden Son, and once again with Morning Star. How on earth do you top such a stella series? well apparently you take a leaf right out of the J K Rowling playbook, Harry Potter as a series grew with its audience, it matured, the language grew, the plot became more complex and mature and the subtext became deeper. That’s where Iron Gold takes the story of Darrow, this time with a multi POV expose on what happens when you shatter an empire…. the fall out and the impacts across many walks of life. Featuring all the surviving key characters from the first series, but 10 years on, 10 years of bloody conflict for the Utopian republic that Darrow dreamed of, reality is a long way from the hopes and dreams of the young idealist. Has Darrow become all he despised? is the new republic rotten at its core? What machinations abound across the galaxy, There are many golds left alive many grouping around the Ash Lord, can the Golds once more retake power, can the golds within the new empire work with the other colours? and where are the big players, the enemies of Darrow’s past? Golds that powerful may need to run and hide but they are too big to fade from history. Once again Pierce Brown manages to surpass all my expectations, i thought this would be another all action novel, a full on action packed thrill ride (no bad thing), but whilst there are strong sections of this still and the pace is at times electric, the growth and depth of plot is a huge lift, we see and learn so much more of the empire and its complexity and history. I still hold with my view that i don’t like Sci-Fi, yet this series screams from the gorydamn void to be read, no matter your genre preference.